Anthony Adams is the creator of THC-The Hangover Cure, an all-natural dietary supplement formulated to, you guessed it, help with hangover symptoms after a night of debauchery. Adams has grown his brand using low-cost online marketing tactics like blogging and search engine optimization. The Hangover Cure has customers in 40 countries and six continents since its creation 2 years ago. Mike: Tell me how you came into the Hangover business. Anthony: I was laid off from IBM in early 2009 and had been kicking around the idea of starting a hangover prevention supplement since college a few years before. I had no formal knowledge of the supplement industry or selling online or anything like that so it really started from scratch. Luckily, my mom has a background in holistic medicine and supplements and she helped put my product’s formula together with my friends and I serving as guinea pigs, albeit very drunk ones. I officially formed my LLC in February of 2009 and a month later had my first batch of The Hangover Cure ready for sale. My site has been online since March of 2009 if memory serves me correctly. I currently employee two full time employees and work with a number of outsourced fulfillment houses and drop-shippers as well as independent distributors worldwide. Mike: Word on the street is that those in the domain industry can party. Does The Hangover Cure really work? How? Anthony: We can party! If I didn’t believe in its effectiveness I would never have taken it as far as I have. Obviously nothing is going to help you if you go out and drink a bottle of whiskey or something crazy like that but for people who want to go out and have a few drinks with friends during the work week and then function the next morning in the office, it’s a lifesaver. The Hangover Cure is formulated to prevent every symptom of a hangover, which no other product on the market does. So you rehydrate your body with water and electrolytes, replenish your body with vitamins and minerals you lose during a night of drinking, and prevent toxins from building up as a result of your liver metabolizing alcohol. We also added amino acids like L-Glutamine to help with digestion and upset stomach the next morning. Like I said, it does have its limits but we have customers worldwide who swear by it. Mike: DrinkTHC.com is easy enough to remember once you’ve been introduced to the product. Tell me what you were looking for when selecting a domain name? Anthony: This is actually my biggest regret with my branding. I knew nothing about SEO when I started out and I originally purchased www.the-hangover-cure.com, which is still active, before getting frustrated and moving to www.drinkthc.com because I wanted something that was easy to remember and couldn’t be confused with a competing hangover site. It’s also a short, 8 letter URL. While it does work “drink” into the URL, which is nice, I really wish I had a domain with the term “hangover cure” in it without being too wordy. Had you considered hyphens or the dot co TLD when making your selection? Anthony: I have since purchased www.thehangovercure.net and www.thehangovercure.com which I have yet to really develop. If I could start over I would have just gone with www.thehangovercure.com but by the time it came up for sale, I was already far enough along in the SEO and marketing process with www.drinkthc.com to go back. I might eventually have www.thehangovercure.com redirect to www.drinkthc.com and start promoting that domain more. I had never considered a dot co when I started out though, although I don’t think it’s a bad idea. I still think a dot com is king in the short term. Anthony: My site typically ranks in the top 4-5 Google search results for “hangover cure” which can drive anywhere from 30 to 200+ people a day to the site, depending on time of day. We typically get the most traffic on Saturday and Sunday mornings, which I assume corresponds with people waking up with a hangover, going on Google searching for “hangover cure” or “hangover drink” etc. and finding my site naturally. I think over the past year we have consistently averaged 3,000 hits a month. Anthony: I like Google AdWords and used it starting out but organic SEO is really the name of the game. I spent about a year learning SEO and it’s helped out my business tremendously with all the free advertising and site traffic we get from all over the world. I do use banners on other sites but this is primarily to get a good link back to my own site vs. actually getting clicks from it. I always recommend getting SEO work done on the competitive, expensive PPC terms and then maybe putting a little AdWords money out there targeting long-tail, niche search terms that are going to be much more affordable. Mike: What advice do you have for others that have a product to sell online? What has roadblocks have you overcome? Anthony: I know there is a big push out there for businesses to use Twitter and Facebook and social media in general and that’s great, but it’s not the core focus of your business. Focus on SEO, it’s insanely more effective than sitting around all day Tweeting and posting updates on your Facebook page. I would avoid advertising on Facebook. I tried it when I started out and the results paled in comparison to Google AdWords. And I think the reason is that with Google, people are telling you what they want, right then. If someone searches for “buy hangover cure” they are allowing me the opportunity to put my business in front of them. It’s reactive vs. being proactive like virtually every other form of advertising on the planet and just bugging people. We TiVo through commercials, we change the radio when an ad comes on, etc. Same thing with Facebook. Just because my Facebook profile says I like the movie “The Dark Knight” doesn’t mean I want to buy some company’s Batman statue for $99. But guess what, if I am bored at work and messing around on Facebook and I see that ad with the little picture of something that looks like Batman, I might click it and cost you $4 out of curiosity. But I don’t have my wallet out, I never told you I want to buy something. Compare that with someone going on Google and searching “Buy Batman Statue” and I think it’s pretty clear what has a higher conversion rate. 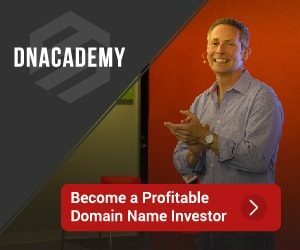 Anthony: Unless you have a huge financial backing, which most start-ups don’t, get yourself an SEO-friendly name that works in one or two keywords. A site like Hulu can spend millions on TV commercials educating people on what Hulu is, but the name Hulu is essentially meaningless outside of being easy to remember and short. Most of us can’t afford to play that game. That’s why I wish I started out using www.thehangovercure.com for my site selling a hangover cure. DrinkTHC.com is short but means very little. And don’t be afraid of .co, .net, .me, etc. Just focus on SEO and getting quality links to your site and you will get customers. Nice interview and nice domain, but when I first saw it I immediately thought THC in liquid form… might go well with some brownies, but I would hesitate clicking to it in google thinking it was something COMPLETELY different.